Swiss Navy: Premium Water Based Lube - 2 oz. Experience the best in Premium Water Based Lubricants. It comes out like a gel and liquefies with friction, so it stays where you put it. Latex compatible, ingestible during oral play, and can be used with any toy. Swiss Navy: Premium Water Based Lube - 2 oz. has an average product rating of 5.0 from 1 review. 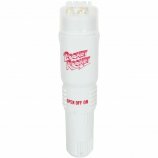 The Original Pocket Rocket - Ivory 4"
Features Ingredients: Water (aqua), glycerin, PEG-8, hydroxyethyicellulose, carbomer, PEG-45M, tetrahydroxpropyl ethylenediamine, tetrasodium EDTA, propylparaben, propylene glycol, methylparaben, diazolidinyl urea. 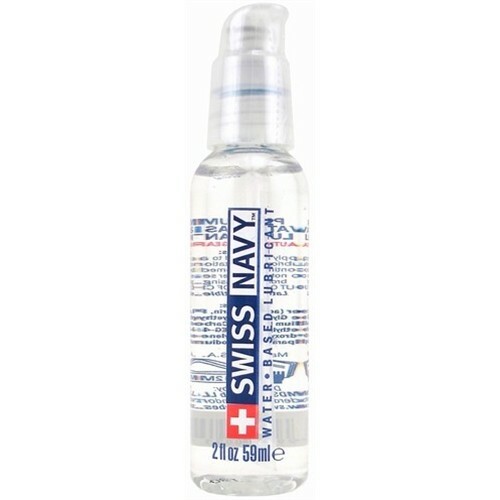 Swiss Navy: Premium Water Based Lube - 2 oz. has scored a 5.0 average from 1 reviews. 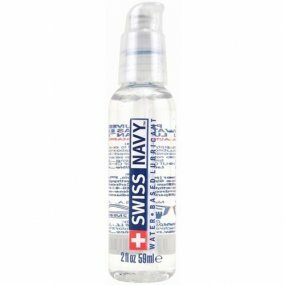 Swiss Navy: Premium Water Based Lube - 4 oz. 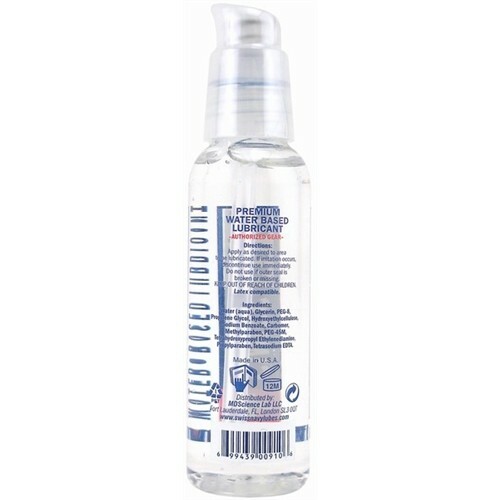 Swiss Navy: Premium Water Based Lube - 8 oz. Review "Swiss Navy: Premium Water Based Lube - 2 oz."